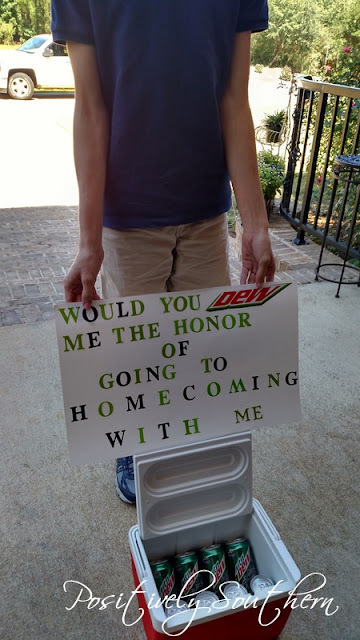 If you follow the blog on Instagram you might have seen my posts of John asking a girl to go to the homecoming dance. The first time I saw a Federalist Bull's Eye mirror in a Charles Faudree book I knew I had to have one. Last fall I got lucky and found one at a great price. For a year now, it just hung on the wall in the family room. Right by itself. When I envisioned it hanging in our home it had Blue Willow plates hanging all around. Fast forward to today when Bestie N popped over for visit, I mentioned that we had to relocate the mirror to a new wall. Just like that we were rehanging the mirror and I had pulled out all my spare Blue Willow plates. Hello my name is Tamyra and I am a Blue Willow Plate Hoarder Collector.